Plans & More, LLP provides professional Local Government Training Services in multiple disciplines. 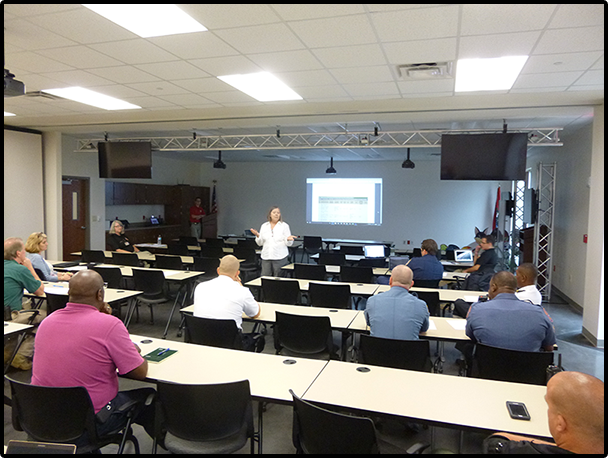 Our training workshops are approved by Federal and State Agencies including FEMA, TAPA, Colorado Department of Regulatory Agencies (DORA), ASFPM, TN AFPM, TBOA, TN Department of Commerce & Insurance, and TAPS, to comply with Continuing Education Credit (CEC) and/or Professional Development Hour (PDH) requirements. Call or email us to schedule your training today! We deliver training at your location, on your schedule, to meet your needs. Plans & More, LLP provides handouts, interactive topic exercises, community outreach and education program materials including flyers, brochures, and internet education products. If you need customized training products, just reach out to us here: razorback@plansandmorellp.com. We are happy to create a custom, targeted training program for your organization or community on any topic in our staff's broad range of expertise. A large part of our firm's priority is education, and we love helping a community acquire the skills they need to guide local development.